Let’s face it, its expensive to start and run a call center. Open Source-based call center software is very popular because of its low cost of implementation when compared to commercial options. In this article we compare the top Open Source call center platforms that are available. To be absolutely clear, this means a complete platform. NOT just the ability to make and take calls. 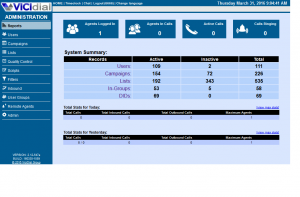 The system must have an agent interface to manage the call and data, an admin interface to design call flows, system setup, and to report reports, as well a live dashboard of some sort to view call center activity in real time. We’ll briefly cover the primary benefits and drawbacks of each and show brief examples of the “look” of each of the primary functions just listed. 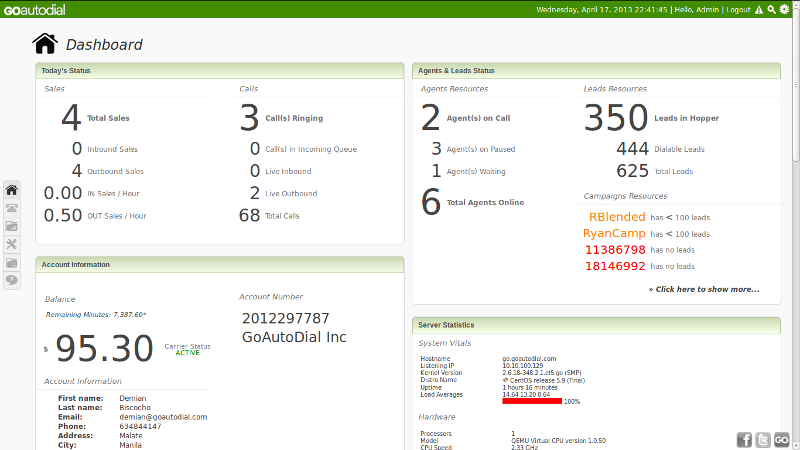 Vicidial is arguable has the largest installed user base of any Open Source-based call center platform. In fact, it is so well designed that many of the other of those discussed in this article are actually BASED on the code written in Vicidial. 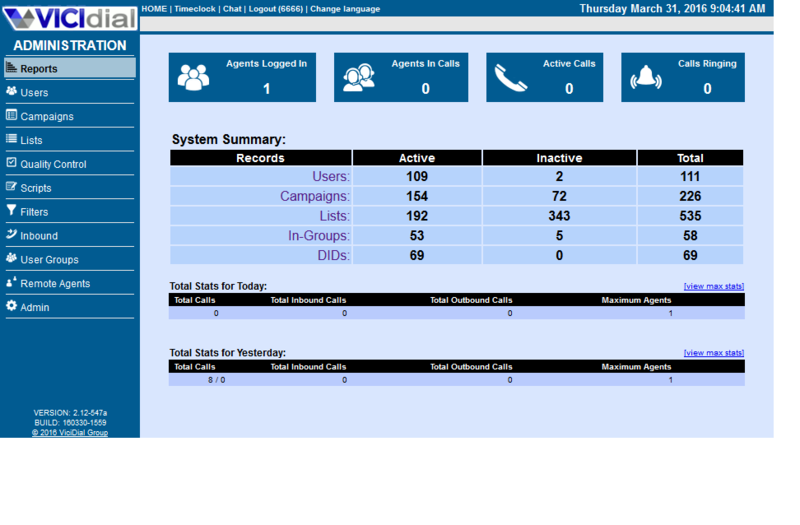 This will be very apparent when you look at the graphics if any call center is based on Vicidial. 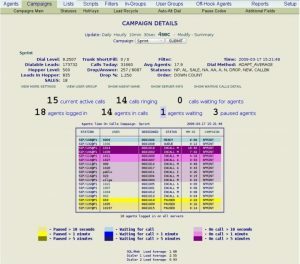 Typically the agent interface is the main component that is changed and the admin interface remains basically the same with only a few minor changes. 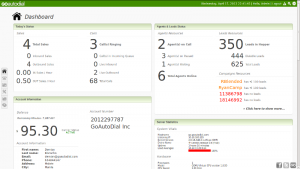 Vicidial is the leader in open source call center software for many reasons. First of all, it just WORKS. Once set up, it is not uncommon for Vicidial-based systems to work for years without intervention or service. 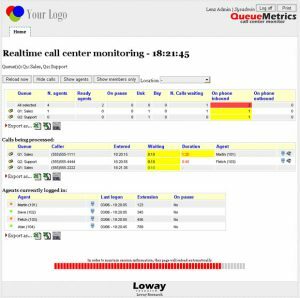 Additionally, it contains all the most popular features necessary to run an effective call center, such as auto-dialing, inbound routing, caller ID management, live dashboards, agent statistics, call recording and so on. Also, it can scale to hundreds (in some cases up to 1000+) users with multiple, redundant servers providing 99.99% uptime (assuming similar redundant networking and power hardware). The biggest complaint people have (and really the only complain of significance) of Vicidial is the “look” of its agent interface. It could use some “prettying up”. 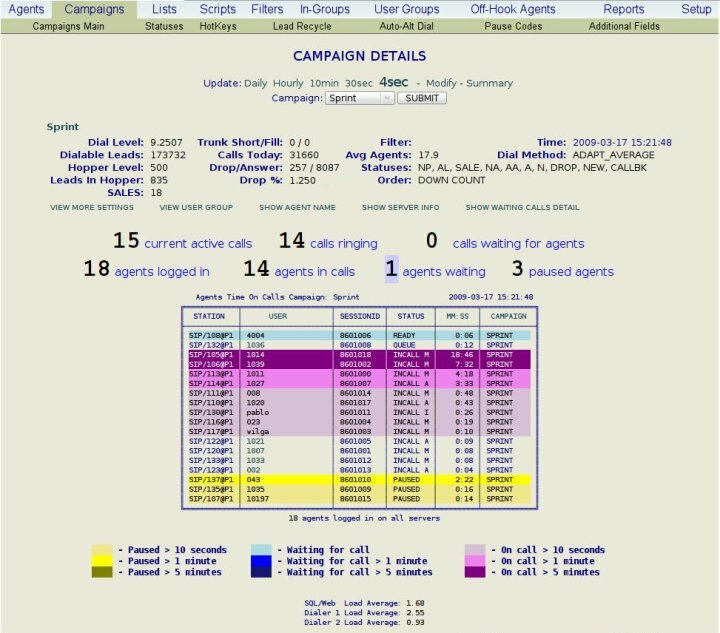 Below you can see examples of the agent interface, the administration interface, and the live “Wallboard” screens that come with Vicidial. OSDial is one of the “forks” of the Vicidial code, is OSdial (www.osdial.com). 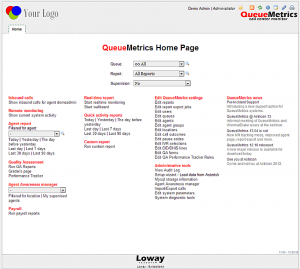 It was designed to make the Vicidial interface simpler and a bit easier to use and a bit less “clunky”. 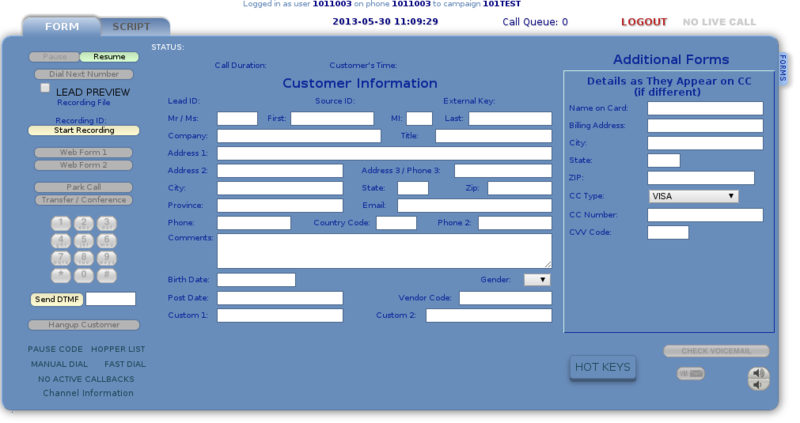 It maintains the same basic code base and most of the same functions as Vicidial (inbound, outbound automatic, and manual call handling, reporting, etc). 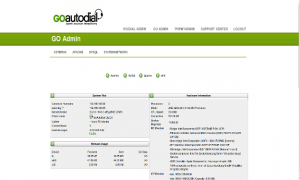 Therefore, if you are familiar with the operation of Vicidial, you can administrate and operate an OSDial implementation. However, because of the “improvements” made, there are some drawbacks. First of all, the code base, while based on Vicidial, is maintained separately. Therefore, updates to the Vicidial code don’t make it to the OSDial system until quite a bit later (often times up to a year or more – if at all). Additionally, some functions may be left out and left as the Vicidial “defaults” in hopes that you will fall into the 90% of customers who don’t need to change those settings. If you do, you would have to manually modify config files, or database settings, or other items (a difficult proposition at best). 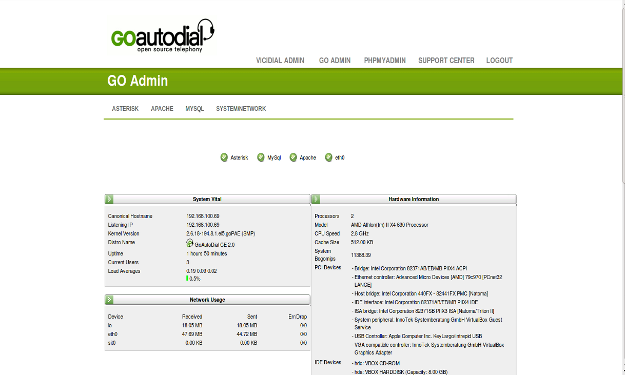 GOAutodial (http://www.goautodial.org/) is yet another attempt to put a “pretty face” on Vicidial. However, it actually includes a few additional utilities for server management that make it a more rounded platform (like database management tools, and other server management tools). Additionally, the “live wallboard” is much more polished than other flavors. 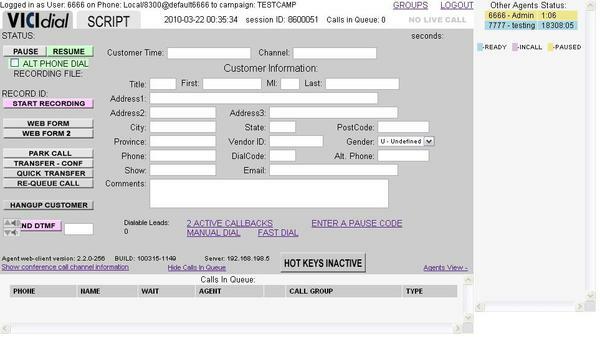 It also offers wizard-based configuration for many of the more common tasks, like configuring campaigns, which makes administration easier for call center managers. It still suffers from the same basic problem as OSDial. That is, it is based on the Vicidial code base, and as such, it can’t make updates until the Vicidial code base does. And once Vicidial releases code, GOAutodial must test it and integrate its code into its own system. But, again, it still doesn’t have as many features or the quick release of features, or broad support based that Vicidial does. 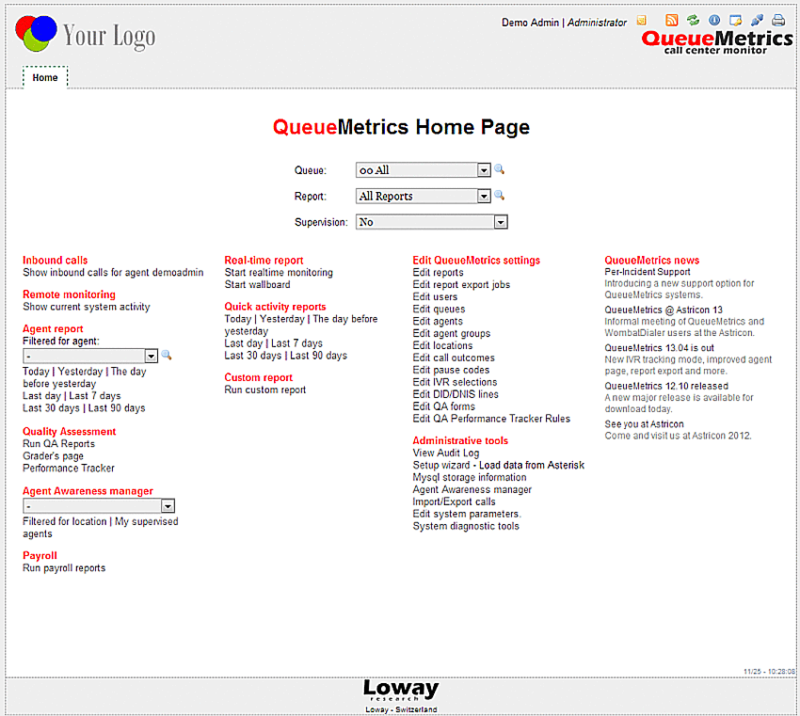 Queuemetrics (http://www.queuemetrics.com) is a unique piece of software in this category. 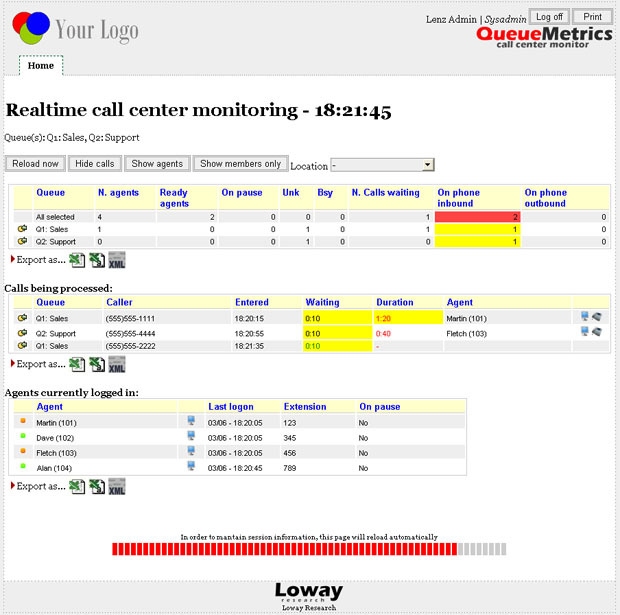 It is designed primarily to work with Asterisk queue based systems and as such, mainly handles INBOUND call distribution and reporting. However, there are add-ons to enable it to function as an outbound call center as well. Another difference is that it is one of the few call center platforms that is not based on the Vicidial core engine. 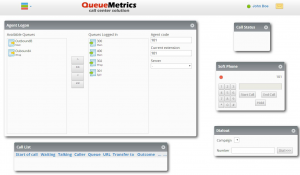 It uses Asterisk’s own queue management and tracking, then expands on it with a database connection and agent tools.